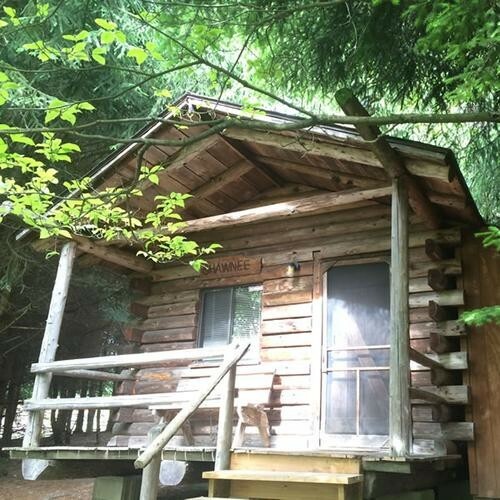 These cabins offer a quiet retreat setting.There location into the Moraine Valley, and nestled between the horse pasture and the springtime trout pond. They are set back in the pines and offer some seclusion from the other campers in the area. With a beautiful view off of the porch of lush vegetation and a glimpse of the pond area, they are great for those planning a weekend to relax and recharge. #’s 3 (Shawnee) & 4 (Seneca) on map. Call for current rates and availability. Park owners - get your deals featured here, please contact us today for more information.